Greetings friends, and happy Friday! I hope you have had a great week and maybe enjoyed some warm spring sunshine?? We had some unusually warm temps this week - up to 90! The kids were dying to go for a swim. Of course, there aren't many outdoor pools open this time of year, so we had to settle for a bucket in the backyard. That's the way we did it when I was a kid! Looks like fun! Hope the weather stays nice and warm for you. It's fall here in Australia so I'm relishing these cooler days and nights! okay - now - that - is - just - not - fair! Oh my goodness! The photos are lovely! Love that sun flare! Seriously, I think you have one of the cutest little girls... and It's so great that you could document her being , well, her, so beautifully. Sun flare added more beauty to the pictures! adorable! looks like a wonderful time for her, and wonderful captures for you! And it's still freezing here!! These are so adorable! Love the tub and the awesome light! Near 90? That is incredible. I'm so glad the warm weather is here. Oh so precious!!!!! Loving these. such a cute collage! love the light! Awe, such warmth! We're still living in a frozen land in the teens at night, kids still in snow pants & boots. We're dreaming of days splashing in the sun! oh how precious! <3 I have SO missed linking up! after much sickness, and a special loss, I am finally back! :D linking up soon! 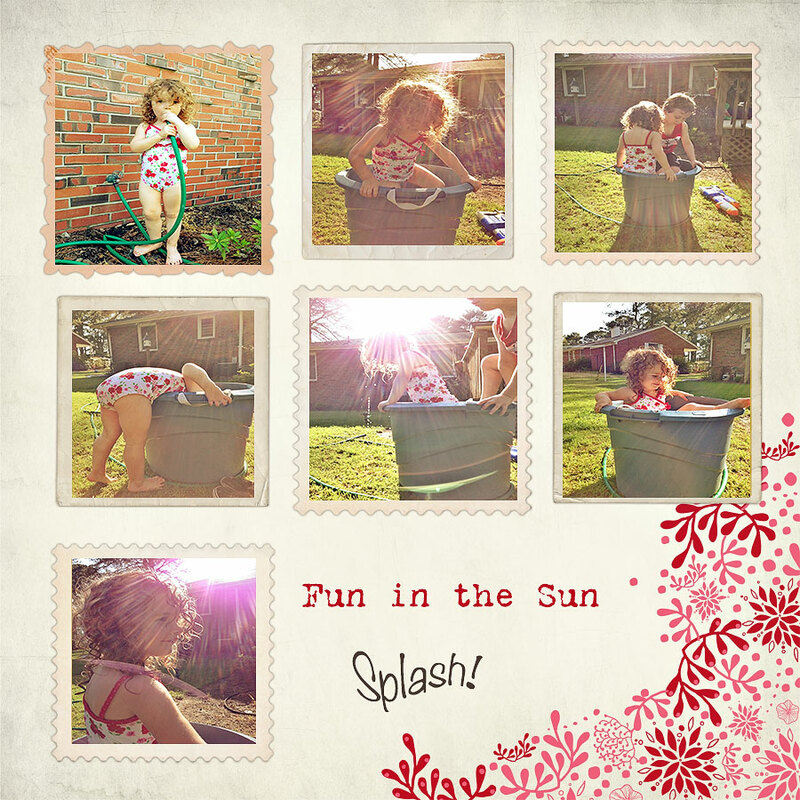 LOVE your fun in t he sun!